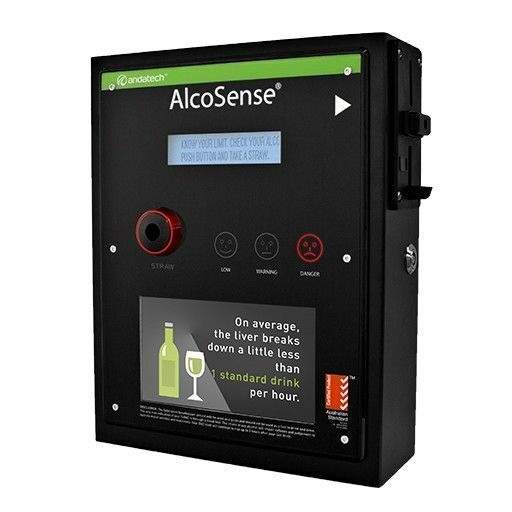 The is a Wallmount commercial quality breathalyser that gives patrons and staff a tool to help them control drinking in a cost-effective way and helps to prevent alcohol related accidents. 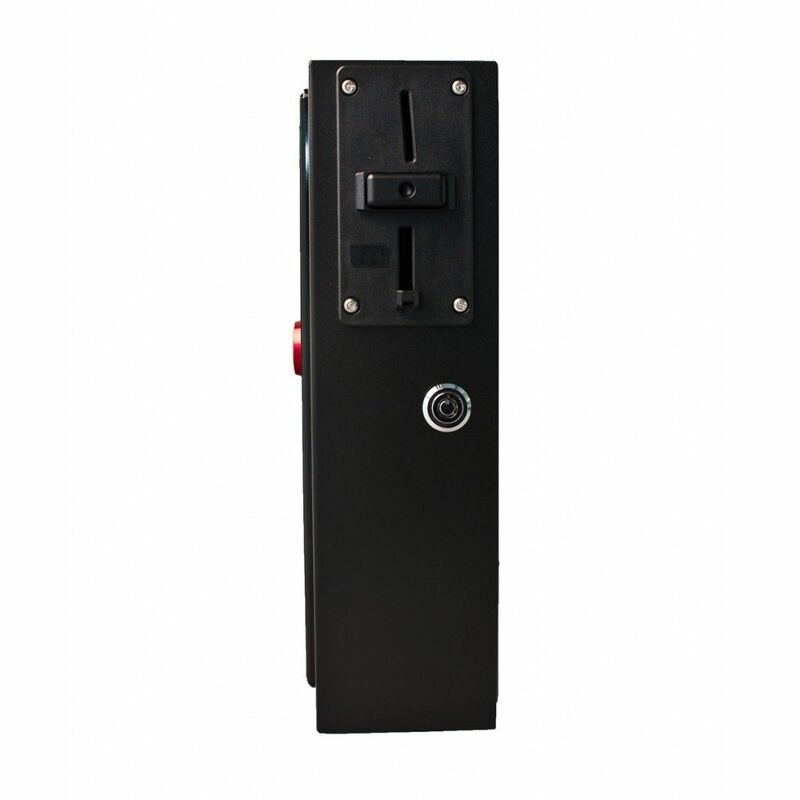 This unit can be modified to be Coin operated unit for bar and pubs. Wall-mounted breathlyser for work places, pubs, restaurants or any public places. It has a modern design with clear visual and audio cues, and an easily replaceable sensor module so you won’t have to ship the entire unit for calibration, only the sensor. Ideal for controlling site entry points. Modern and robust solid metal casing. 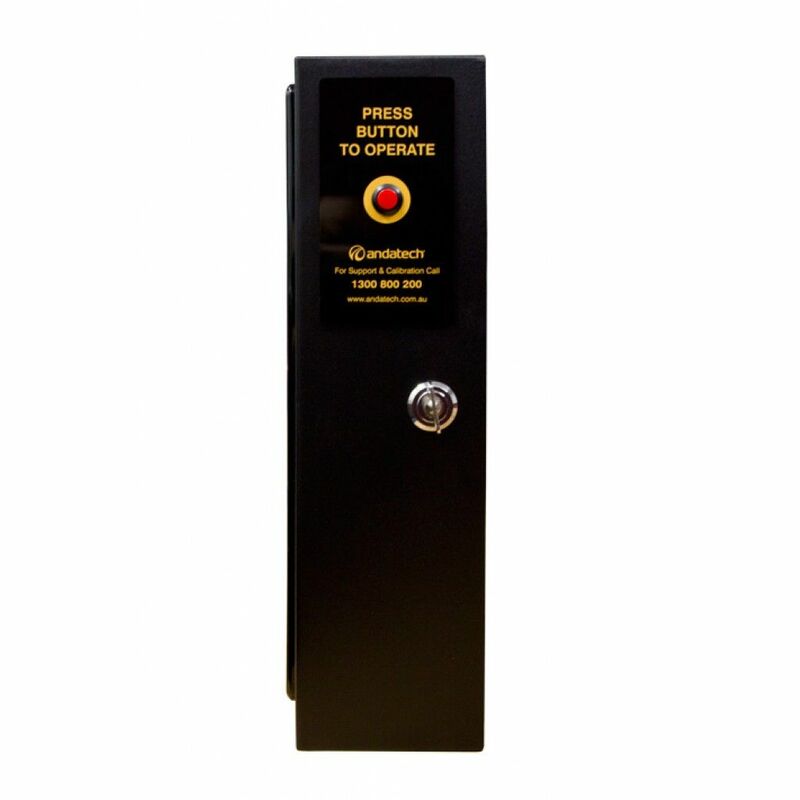 Can be configured to push-button mechanism for workplace use or coin operation for venues. 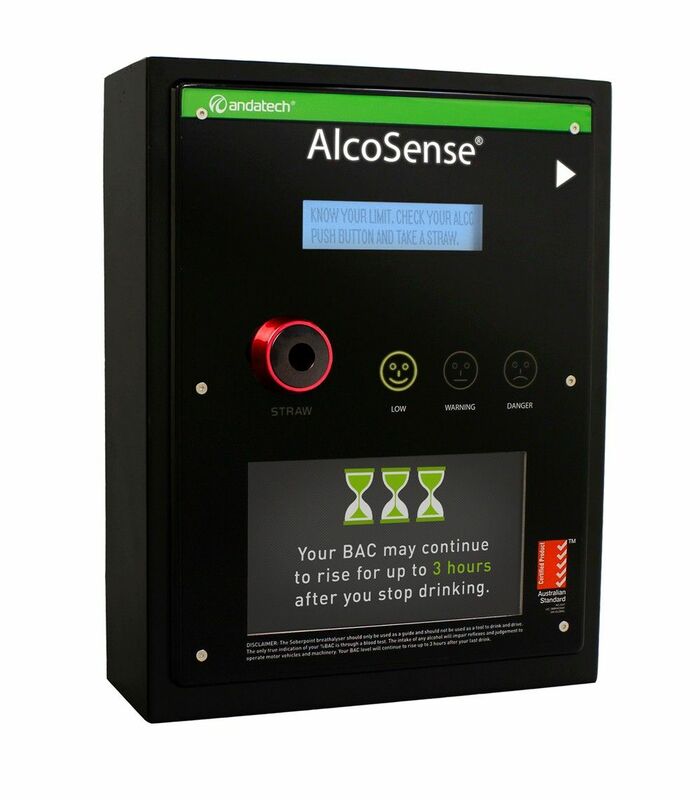 Ideal for high volume breath testing in the workplace, industrial sites, and licensed venues. Customisable to include an LCD screen (optional) for displaying instructions or advertisements. Ability to transfer and sync test results, device information, and more to your computer wirelessly.